2013 was a record-setting year for Gloria Hotels & Resorts in Belek at the Turkish Riviera: The modern Turkish hotel group of the Özaltin Holding counted 590.558 overnighters (compared to previous year a plus of 13 percent), which is unique in the 16-year history of the company. Worth mentioning is also the high season with 2.000 guests. The hotel guests are taken care of 1.324 members of staff, rising to 2.000 employees in the high season. The growth target for this year is nine per cent. The present renovation of the Gloria Verde Resort and the new Gloria Sports Arena, which is under construction, are among the important projects supporting the development. “We are confident, that we will grow further this year“, says Mutlu Sagsözlü, Head of Sales & Marketing of Gloria Hotels & Resorts. “Already we have dates closed for sales”. The Özaltın Holding, owner of the hotel brand and one of the leading construction companies of Turkey, has a leading role in the tourism of Turkey already since 16 years when it comes to highest service quality and cordial hospitality: with the opening of the first and largest 45-hole golf course in Turkey (1997) and the first Thalasso Centre of the region in the Gloria Verde Resort (2001). The brand promise and the measures taken by Gloria Hotels & Resorts illustrate the effort to strengthen the position as one of the popular hotel groups and to keep the rate of recommendation always high. Innovation and advancement are deep-seated in the company´s philosophy: For the broad renovation of the golf course last year and the present modernization of the 5-star Gloria Verde Resort, which was selected as the “Best TUI Hotel” worldwide in 2013, the hotel group invested about ten million euros. The public areas of the Gloria Verde Resort as well as the bathrooms of the “Standard Rooms”, “Family Suite” and “Select Villa” are being reconstructed at the moment. In addition the interior design of the rooms with textiles such as curtains and beddings as well as other fitments will shine in fresh colours. The Select Villas, enchanting guests on a special area with their unique ambience, will get a sonic wall, naturally styled as a hill, for a more peaceful holiday. Moreover the presently operated Café Şahmaran will reopen as a special confectionery. The renovation will last until 15th February 2014. A further large-scale project with an investment sum of about 50 million dollars will sustainable change Belek as a location: the reconstruction works of the Gloria Sports Arena proceed rapidly. The opening is planned for the beginning of 2015. "The Gloria Sports Arena as one of the largest arenas of Turkey will change the image of Antalya as a destination just for golfing or soccer. Our project is supported professionally by the Olympic base Stuttgart" says Mutlu Sagsözlü. "We address especially professional athletes from all around the world, who want to train in camps or individually for Olympia, tournaments, competitions or the new season. 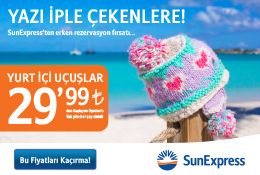 The advantages are clear enough: Antalya can be reached quickly and easily; and our weather conditions, especially in winter, are ideal for sportsmen“. On a total area of 105.000 sq. also amateurs, sporting clubs and hotel guests can train a variety of disciplines. In the outdoor area an athletic sports stadium is being built for 1.600 visitors. Outside of the stadium, Olympic pools, diverse running tracks, tennis courts, climbing walls, sporting areas for aerobic, Pilates and more are being developed. Further sports such as boxing, dancing, fencing, wrestling or weight lifting are also in the plan.